Many have compared Theresa May's peregrinations to 'Alice in Wonderland', but this is unfair, as even the most ardent lovers of fantasy will still insist on a story having a beginning, middle and an end. Yet there are similarities between the behaviour of Lewis Caroll's creation and the British prime minister. Once you walk through the looking glass, reality dissolves. In such a world, Mrs May can do a victory lap for a victory by a knockout in the Commons. True the Tories have had little to cheer of late, but in the long history of the mother of all parliaments, has the total defeat of a prime minister by that very same prime minister ever produced such celebrations? Mrs May's triumph was to unite her party to oppose an agreement she had spent two years painstakingly putting together. That this was somehow seized upon as an achievement borders on the surreal. If, however, there was an award for banging one's head off a stone wall, as Mrs May will do once more with feeling in Brussels, there would be no contest. Yesterday, she admitted her government "hasn't decided exactly how it will try to change the European Union divorce deal to address concerns about the Irish Border". Mrs May may be struggling with clarity. But with the greatest possible respect to her latest démarche, presuming it is perfectly reasonable for Ireland's interests to be catastrophically injured for remaining within the EU - while her United Kingdom should be rewarded - defies understanding. The Withdrawal Agreement was up for ratification, not renegotiation. As Commission President Jean-Claude Juncker put it: "Opening up the Withdrawal Agreement is not on the agenda." It is hard to discern any sense of strategy in Westminster, unless Mrs May is deliberately courting disaster in the hope it could eventually prove a catalyst for success. 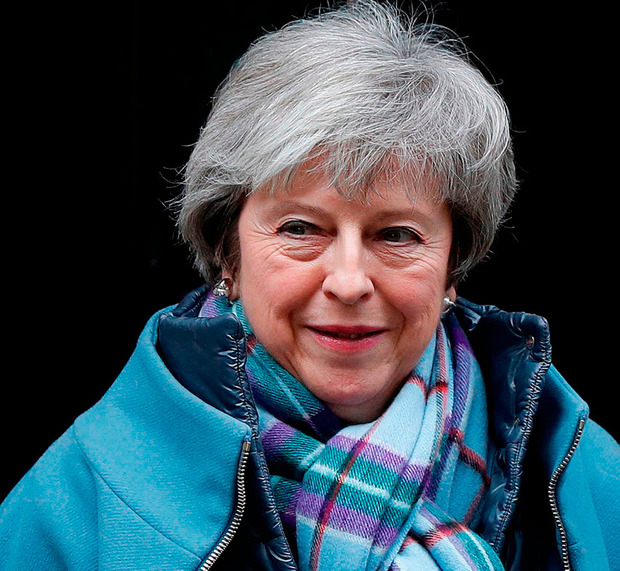 Others suggest she is still running down the clock, in the desperate hope that before the hour-glass empties there will be a moment of revelation - or panic - and Brexit-ultras will see the depth of the abyss, and begrudgingly back her deal. The UK has an absolute right to exit the EU, everything within reason must be done to accommodate its wishes. But risking the disintegration of the Good Friday Agreement, which even moderates like the SDLP describe as a "betrayal", by moving closer to a hard Border can not be countenanced. Perhaps MPs do not appreciate how exhaustive and thorough the Brexit talks have been. The backstop may have been a dromedary designed by a committee; but it was designed to facilitate Mrs May - replacing it with a unicorn at the 11th hour was not part of the plan.